The environment one grows up in is undoubtedly hugely influential in a person's life. 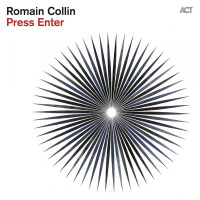 Pianist Romain Collins grew up just stone's throw from the site of the Antibes Jazz Festival, and his exposure to some of the greats of jazz there as a youngster may have had a lot to do with his later decision to leave France and pursue jazz studies in America. 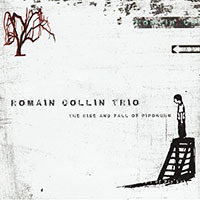 Eight years after arriving in New York Collin released his debut recording as leader, the beautiful and impressionist The Rise and Fall of Pipokhun (Fresh Sound New Talent, 2009) to widespread critical approval. 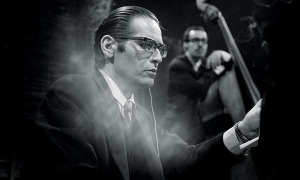 Public Radio hailed Collin as "a visionary composer" and the Boston Globe described him as "among the leading lights of a new breed of jazz players." A new star, it seemed was in the ascendancy. Despite all the hoopla, it was perhaps merely a case of the pianist living up to his potential. 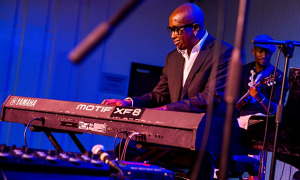 Collin had passed through both Berklee and the Thelonious Monk Institute of Jazz on scholarships, and pianist Herbie Hancock and saxophonist Wayne Shorter thought enough of Collin's talent to invite him to tour Vietnam and India while still a student. Collin hasn't let any of the fuss go his head, and maybe wisely, has taken his time to fully ferment a follow-up to his first CD. Three years on, Collin's second recording as leader, The Calling (Palmetto, 2012), offers another beguiling blend of highly melodic, modern jazz for piano trio, though with more edge than his debut recording. Collin has grown as a composer in the intervening years, and these 12 compositions are a subtle and compelling blend of composition, improvisation, and careful post-production sound design. 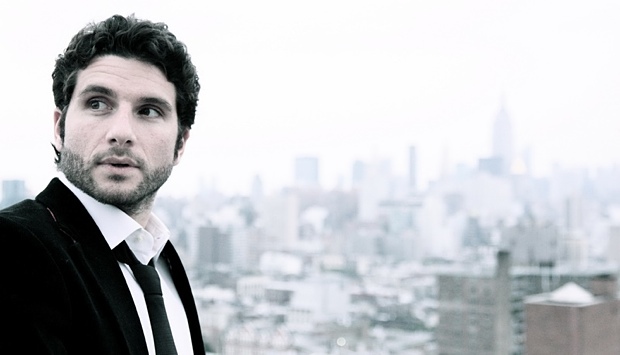 Largely devoid of bebop vocabulary, Romain remains true to his roots, and the influence of classical music colors much of his exquisitely lyrical playing. "You have to play what you really hear and feel, and that's what I try to do," states Romain. All About Jazz: Your new recording, The Calling, is receiving very positive reviews, as did your debut, The Rise and Fall Of Pipokhun (Fresh Sound New Talent, 2009); did the positive critical response to your debut give you confidence to follow up with the music that became The Calling or did it put a degree of pressure on you to live up to everybody's high expectations? 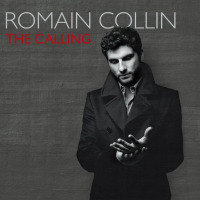 Romain Collin: The response to my first recording was very positive and I think it gave me confidence. It gave me more confidence, more belief in my approach that something was working. AAJ: The title of the CD has a quasi-religious sense; could you tell us where the title sprang from? RC: To find one's voice takes time and it takes courage. It takes a lot of unearthing. Creating music or art in general takes so much out of you. There's an obsessive aspect to it. The only explanation that I can find for any artist doing it for long enough, and taking all the risks that it entails on so many levels, is that they have a micro-universe where creativity needs to be expressed as part of our bigger universe. That's the main idea behind the title; that obsession that you can't get rid of and you just have to unearth it, face it and understand it and express it. AAJ: Did you feel this obsession at an early age? 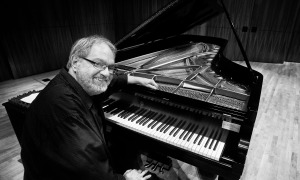 RC: I absolutely did, but it took me along while to sit down at the piano and get into music 100%. I felt a profound need to express and create something, a reflection of how I feel about life and the world, and I think that's what art is. It's the material expression of an almost existential feeling that the creator of the work has. I definitely felt the longing when I was young but I wasn't sure how to approach it and go on to express it. In retrospect, it was pretty obvious that it had to be done through the creation of music and sounds. AAJ: You grew up very close to the site of the Antibes Jazz Festival; what are your earliest memories of the festival? RC: It's not all jazz, and the funny thing is that the first concert I remember seeing there was a [singer/guitarist] Bob Dylan concert. I was probably seven or eight. I think that was my first introduction to the festival. 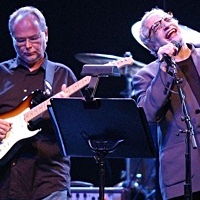 Afterwards, I saw a lot of different artists: [pianist] Keith Jarrett, [guitarist] Pat Metheny and so on. The list is quite long. It's a great festival. They have such incredible artists at the festival; it's very inspiring. AAJ: Have you ever played the Antibes Jazz Festival, and if not, do you have a special desire to do so? RC: I've never played it but I do have the ambition to do so. I'd absolutely love to play there with my trio. It would be a great homecoming. It's such a beautiful setting, right by the ocean, and it's one of my goals to play there, absolutely. 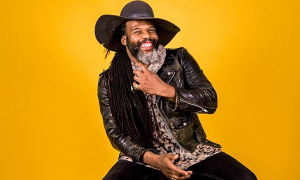 AAJ: You're working with different musicians on The Calling, with drummer Kendrick Scott and bassist Luques Curtis; is this your regular working band in New York? 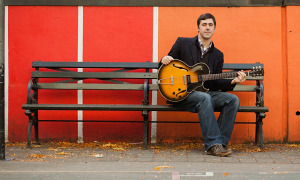 RC: I first met Luques at Berklee in 2001 so we've been playing together for about ten years. 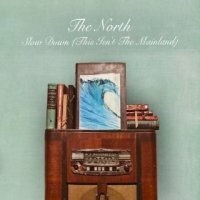 We did a demo in a very straight-ahead trio that was never released and we've played in various places throughout the world. He's such a great musician and a great person. He's very easy to work with and he always understands what I'm looking for in my music. I must say I love [bassist] Joe Sanders, he's one of the greatest, no question, just a different sound. Kendrick I also knew a little bit at Berklee, and we know each other from the New York scene. He brings so many shades and the textures and colors that I need. For me, Kendrick is the perfect drummer because he's so versatile and so sensitive. He can play anything and orchestrate anything, pretty much on the spot. He's incredible.